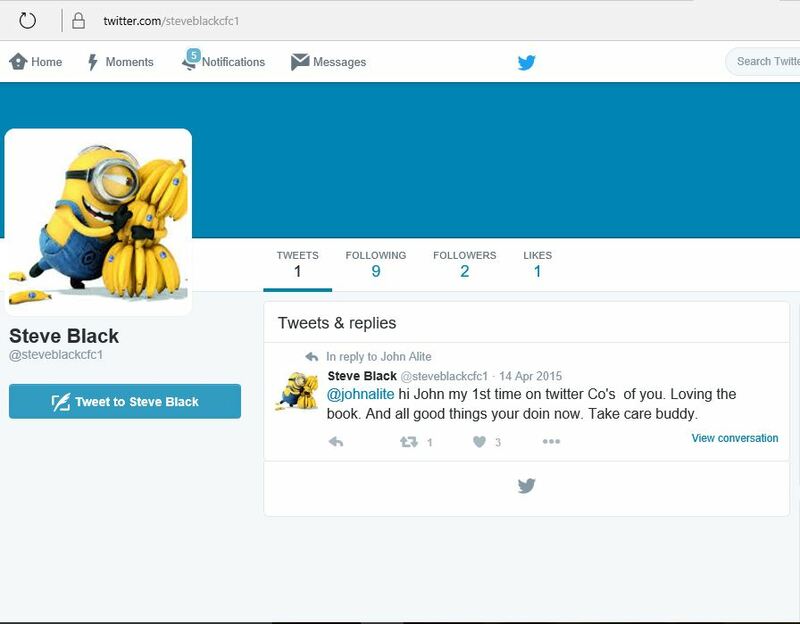 He/his team have also run fake Twitter accounts which praised him with positive tweets that he then re-tweeted like they were authentic. 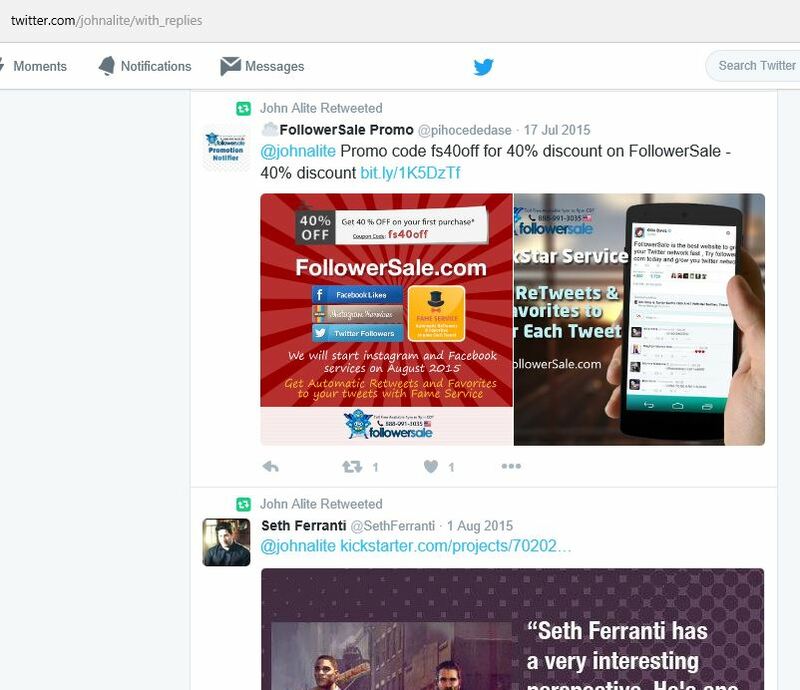 Notice how the following one— chosen from an array of fake accounts– it only has TWO followers, and no other posts? 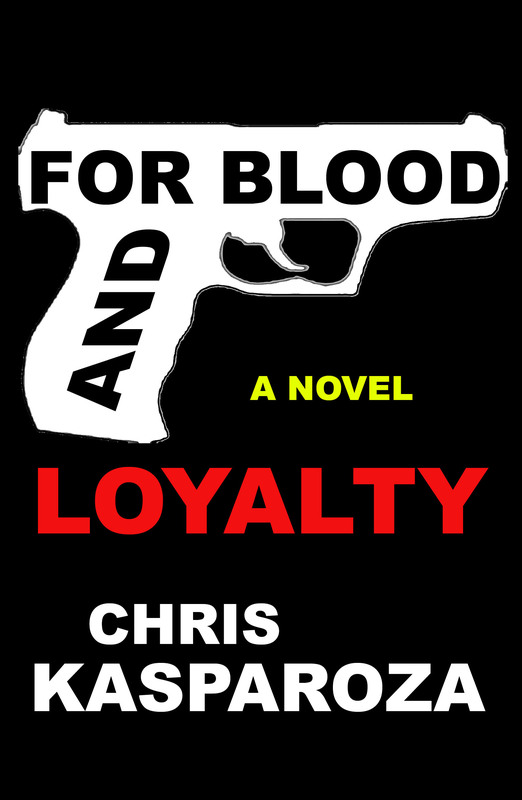 However, it did not end with the fake Twitter accounts (or, the fake likes and followers he bought on Facebook and Instagram). 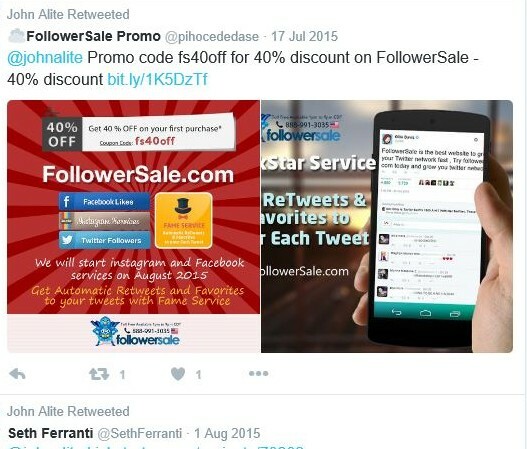 As a part of his ongoing scam John Alite’s fake re-tweets even appeared on his Facebook page after in his attempt to look important and con people into believing that he was being supported. 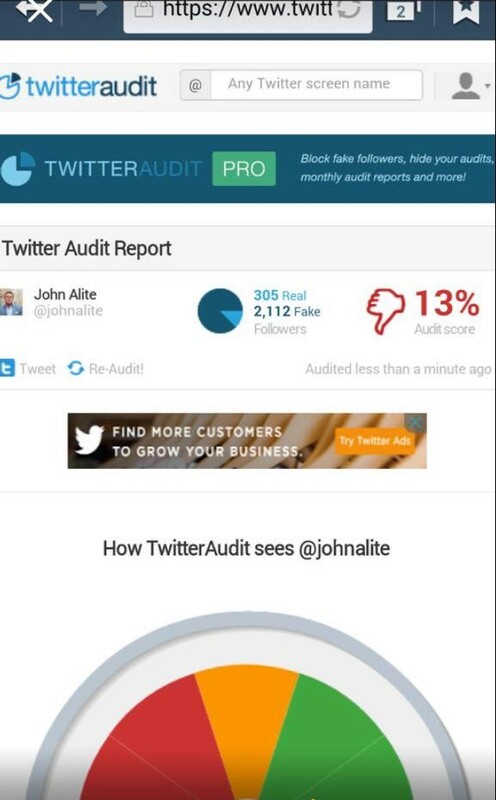 John Alite’s fake likes and followers were brought to his attention in March, 2015 and not only did he refuse to delete or acknowledge them, he even kept at it, as evidenced above. You are not an authentic role model or a leader if you buy fake followers and then don’t even delete them when you are called out on it numerous times. 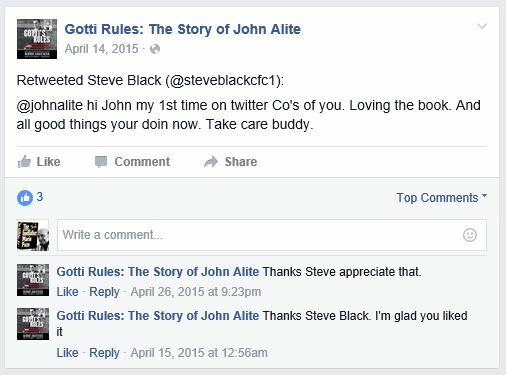 But, what does it say about John Alite’s mentality if he needs to praise himself through fake Twitter, Facebook and Instagram accounts? 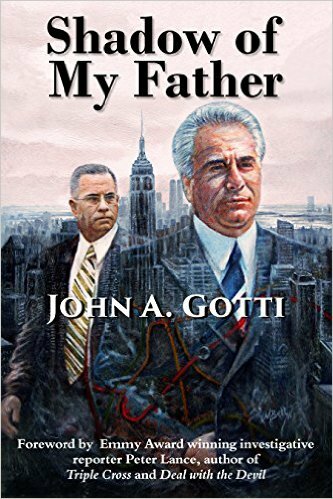 JOHN ALITE IS A FONEY AND HIS WHOLE IMAGE IS ONE BIG, MAJOR FRAUD. Get his latest Twitter score at: www.TwitterAudit.com.